WASHINGTON (AP) -- Treasury Secretary Jacob Lew is warning of widespread consequences, from layoffs of police officers to a hospital closure, if the Senate fails to act before Friday on a rescue package for debt-stricken Puerto Rico. The U.S. territory is in a decade-long recession. It owes a $2 billion debt payment to creditors on July 1. The House already passed legislation to create a new control board and restructure some of the U.S. territory's $70 billion debt. In a letter to Senate Majority Leader Mitch McConnell on Monday, Lew said the crisis in Puerto Rico "will ratchet up to an even higher level" if the Senate doesn't pass the House bill in the next four days. He said that if the island defaults on the July 1 payment, the government may be forced to shut down public transit, close a hospital or send police officers home. "We know for certain that it is the 3.5 million American citizens who live in Puerto Rico who will be further harmed," Lew said. McConnell, R-Ky., has said the Senate will consider the House bill this week, but he will need support from both parties to surmount a certain 60-vote threshold to advance legislation. The House bill would create a seven-member control board to oversee the island's financial recovery, similar to a board that oversaw the District of Columbia two decades ago. The board could negotiate with creditors and the courts over reducing some debt, but the bill does not provide any taxpayer funds to reduce that debt. The legislation is needed because Puerto Rico, like all U.S. states and territories, cannot declare bankruptcy under federal law. Mainland municipalities and their utilities can, while municipalities and utilities in Puerto Rico cannot. The legislation enjoys rare bipartisan support from the White House and Republican leaders in Congress. House Speaker Paul Ryan, R-Wis., helped negotiate the House bill. 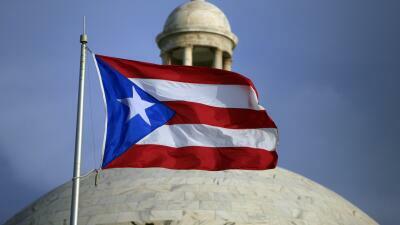 "The Puerto Rican people are our fellow Americans. They pay our taxes, they fight in our wars. We cannot allow this to happen," Ryan said on the House floor just before the chamber overwhelmingly passed the bill 297-127 on June 9. House Minority Leader Nancy Pelosi, D-Calif., also supports the bill, despite a provision opposed by Democrats that would allow the Puerto Rican government to temporarily lower the minimum wage for some younger workers. The governor of Puerto Rico is backing the bill, even though he says the control board would have too much power over the territorial government. "What's the alternative right now?" Gov. Alejandro Garcia Padilla said in Washington last week. "We need the bill yesterday." Senate Democratic Leader Harry Reid of Nevada is so far withholding his support from the bill, partially over the minimum wage provision. "At the very minimum we need some amendments," Reid said last week. Democratic Sen. Bob Menendez of New Jersey and Sen. Bernie Sanders, I-Vt., are both strongly opposed to the bill, saying the control board would be too favorable to creditors and ignore ordinary Puerto Ricans. Some creditors have lobbied conservatives to oppose the measure, arguing that the bill is unfair to banks and tantamount to a bailout for the territory. McConnell has said for weeks that the Senate would take up the bill, but has pushed consideration until the 11th hour. The Senate is expected to start voting on the bill toward the middle or end of the week. That puts Reid and Senate Democrats in a tough spot - if they push debate past the Friday deadline, then they could be blamed for any repercussions in the territory. Lew said that if the island defaults on the debt payments and creditor lawsuits are successful, a judge could order the island to pay creditors over health, education and public safety services. The bill would put a stay on such lawsuits. "Doing nothing now to end the debt crisis will result in a chaotic, disorderly unwinding with widespread consequences," Lew wrote to McConnell.